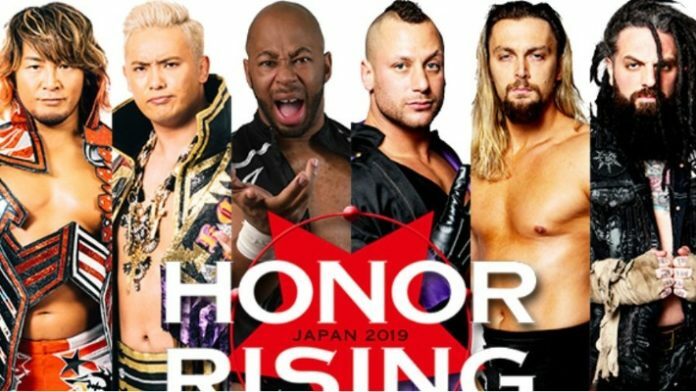 One ROH (Ring of Honor) star will not be part of the upcoming Honor Rising Tour, which is jointed promoted by the Baltimore-based promotion and NJPW. This exciting talent is PCO. He wasn’t featured in the lineups that were announced earlier this week and later took to his official Twitter account to address the reason for his absence. It turns out that he couldn’t get his visa for Japan in time. The first show goes down at Korakuen Hall in Tokyo on Friday, February 22 while the second show takes place at the same venue the following night where they will be broadcasted to the world live on NJPW’s streaming service, New Japan World.